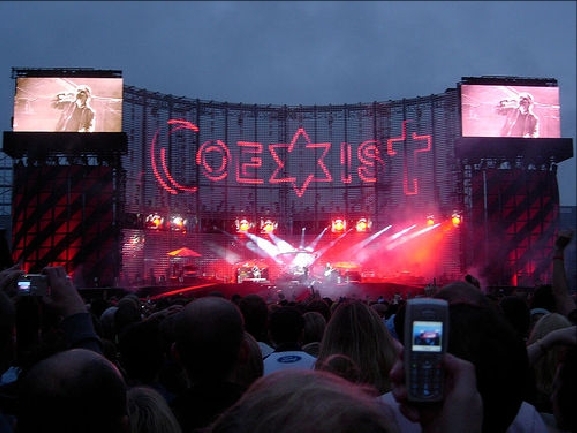 You may weel have seen the artwork adopted by U2 to urge adherents of the three Abrahamic faiths to get along. Crescent, Star of David and cross can occupy the same space. It seems sensible to remind those who sometimes squabble - or even get violent - that there's a major link between them. In this case, the promises to or link to Abraham. It's of a kind with pointing out our common humanity. Yet this does not rule out disagreement. Rather, it indicates that any disagreement must be with respect. Thinking about Judaism, Christianity and Islam, the difference comes down to one man. Jesus is the pivot point. All three faiths have a place for Jesus, but a different place. Important historical Jewish man (and no more, unless you're a Messianic Jew), prophet of Allah (and no more), or the one who is both God and man (which is so much more). I'd be happy if we spent time speaking of Jesus as the central dividing issue. Perhaps acknowledging differences over Jesus might relativise (a very little) other arguments over land, history, justice and righting wrongs.